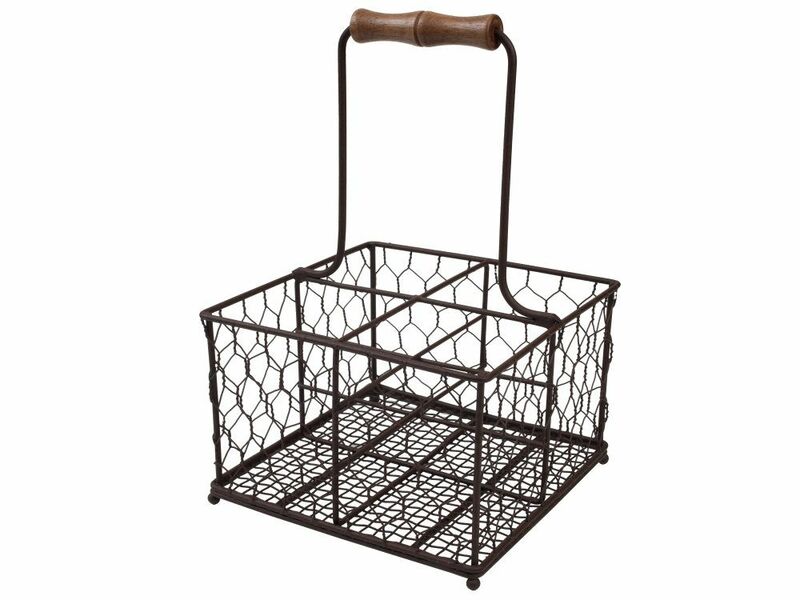 Bring a touch of vintage charm to your home with the Provence 4 bottle holder. Featuring rustic brown painted wire and a pretty cork-shaped wooden handle, the Provence bottle holder is perfectly styled for the country kitchen and is ideal for holding your bottles of oil, vinegars and table dressings. Other Provence items are available to complete the rustic look.